I produce a fair amount of open source code. I make that code available online. curl is probably the most popular package. 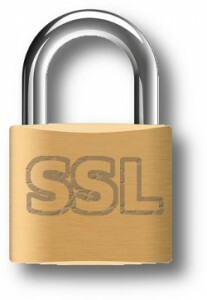 I really and truly want to offer HTTPS (only) for all my sites.Â I and my friends run a whole busload of sites on the same physical machine and IP address (www.haxx.se, daniel.haxx.se, curl.haxx.se, c-ares.haxx.se, cool.haxx.se, libssh2.org and many more) so I would like a solution that works for all of them. I can do this by buying certs, either a lot of individual ones or a few wildcard ones and then all servers would be covered. But the cost and the inconvenience of needing a lot of different things to make everything work has put me off. Especially since I’ve learned that there is a better solution in the works! Let’s Encrypt will not only solve the problem for us from a cost perspective, but they also promise to solve some of the quirks on the technical side as well. They say they will ship certificates by September 2015 and that has made me wait for that option rather than rolling up my sleeves to solve the problem with my own sweat and money. Of course there’s a risk that they are delayed, but I’m not running against a hard deadline myself here. Related, I’ve been much involved in the HTTP/2 development and I host my “http2 explained” document on my still non-HTTPS site. I get a lot of questions (and some mocking) about why my HTTP/2 documentation isn’t itself available over HTTP/2. I would really like to offer it over HTTP/2. Since all the browsers only do HTTP/2 over HTTPS, a prerequisite here is that I get HTTPS up and running first. See above. 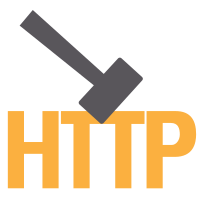 Once HTTPS is in place, I want to get HTTP/2 going as well. I still run good old Apache here so it might be done using mod_h2 or perhaps with a fronting nghttp2 proxy. We’ll see. I’ve traveled to a rainy and gray Münster, Germany, today and checked in to my hotel for the coming week and the HTTP Workshop. Tomorrow is the first day and I’m looking forward to it probably a little too much. There is a whole bunch of attendees coming. Simply put, most of the world’s best brains and the most eager implementers of the HTTP stacks that are in use today and will be in use tomorrow (with a bunch of notable absentees of course but you know you’ll be missed). I’m happy and thrilled to be able to take part during this coming week.